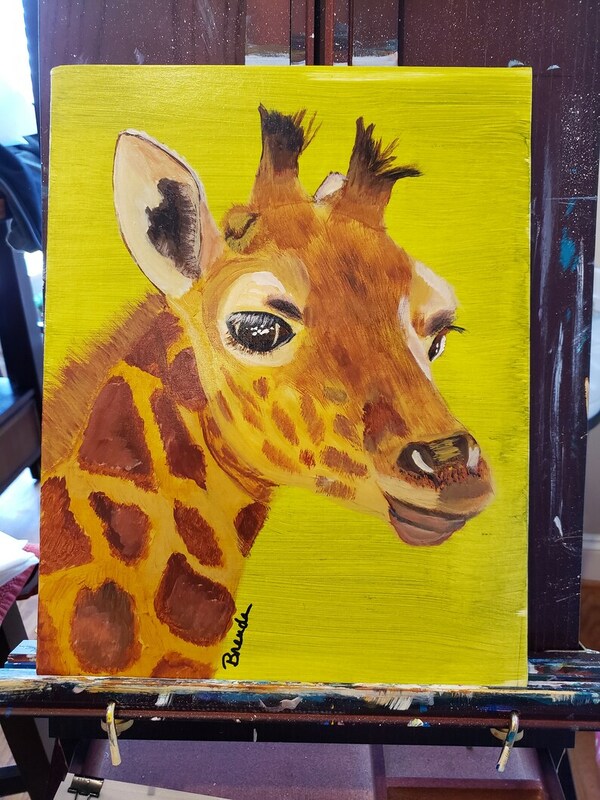 "Just Pure Love" is a painting of a mother giraffe. It is painted on canvas board, which will require framing, but, it is a standard 11x14" size so you can buy a ready-made frame at any hobby or craft store that sells frames, or, order one off Amazon. If you'd like this image in another size, or on a gallery-wrapped canvas,I do accept commission requests. Just send a message here on Etsy and let me know the size you prefer.